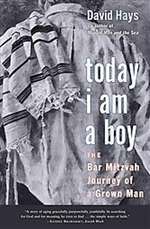 When David Hays was sixty-six and joined a synagogue for the first time in over fifty years, he decided to study Hebrew and become a bar mitzvah. And so this father of two grown children and coauthor of the bestselling My Old Man and the Sea borrowed his grandson's Hebrew primer and joined a class of twelve-year-olds. Thus was launched a wondrous journey of faith and community.